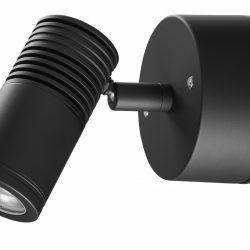 The Wall Spot High Power LED outdoor light fitting has been designed to be mounted on walls and provide directional light for pathways and structural elements of a building. 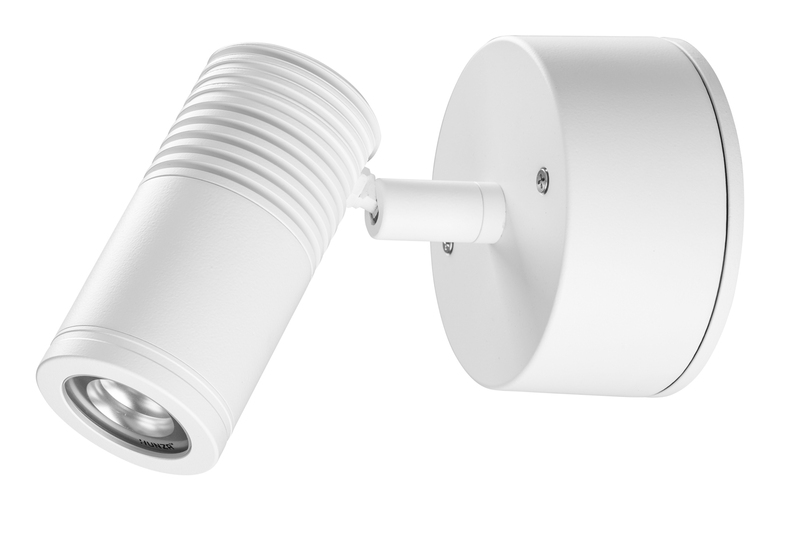 This luminaire has a fully adjustable head allowing 360 degrees rotation and 0 – 90 degree elevation. 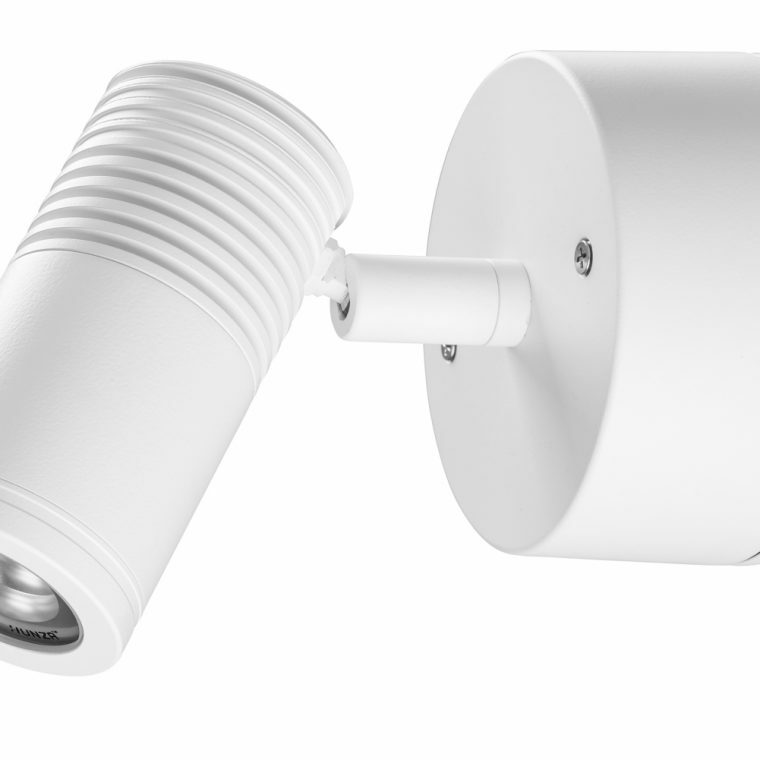 This light fitting is machined from solid aluminium with an ultraviolet (UV) stable powder coated finish. It features an extra clear, tempered, flush glass lens and high temperature silicon gaskets. 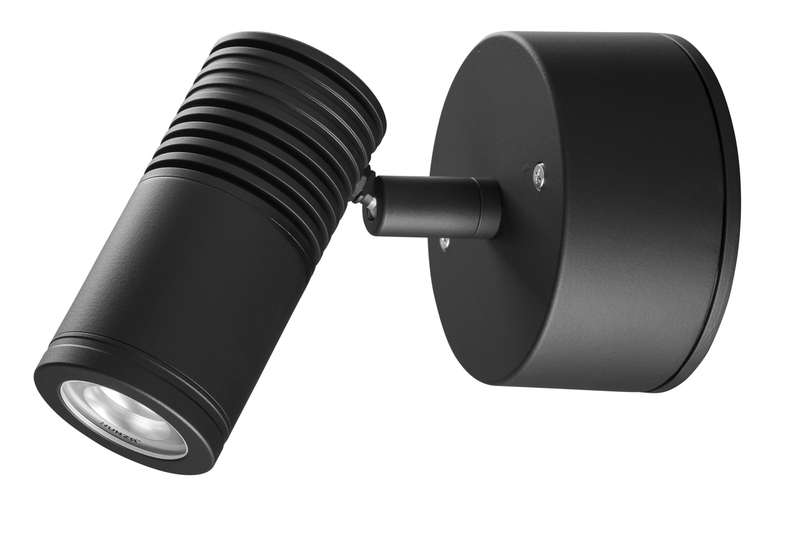 Available in 3000K, 4000K, and 5000K colour temperatures. Cable Joint Kit (Cat. CJK150), Frosted Lens (Cat. STEPF), Wall Box Adaptor Plare (Cat. WBAP).